The representative of the 8-4 circuit Alfredo Fello Perez, of the Democratic Revolutionary Party, who is seeking re-election, is under investigation for the alleged commission of environmental crimes, for alleged links to organized crime and for the alleged issuance of multiple checks without funds Although the presumption of innocence and the right to due process of this deputy deserve prompt and effective action by the Supreme Court of Justice, it is the duty of the voters and political parties to verify that their candidates offer them the best examples of behavior to the citizens. 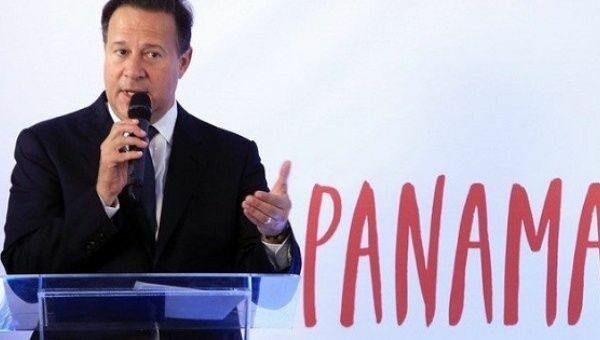 Under no circumstances can Panama allow us to lose democracy because of the suspicion of links between its politicians and organized crime, nor can it be accepted that the policy is used to conceal or facilitate crime. Panama | Signs of Crimes, Secrecy, Lawyers...Stakes and money! Corruption of organized crimes has lost some of its influence due to... 1. Arrest of former president R. Martinelli 2. Arrest of numerous henchmen in all financial matters. 3. Replacement of corrupt judges (so it seems). 4. Fake property investigation to bail criminals. 5. Wiretap investigation of Martinelli and criminal underground. 6. Disruption of criminal underground network. -- Access to suitcase of money unforetold $millions! -- Colon a hub of network drugs to Europe / U.S. -- National Assembly re-election / free ham disrupted. -- General Comptroller control of N.A. out of control spending. -- General Comptroller control of N.A. family hiring easy access to money. -- General Comptroller control of N.A. president Yanibel Abrego unjustified request for Panama state funds. 7. Panama political parties unity to agree the pardon of Ricardo Martinelli. National Assembly presidential candidate link to organized crimes wants to control the government to bring back crimes and lost money. The $70 million (approximate) the General Comptroller saved Panama is the $700 million that could have been stolen if the National Assembly had its way. All it takes is one corrupt candidate to bring the criminal organization back to profitability!